With 2 mic/line inputs (jack/XLR) and a stereo line channel, which can be paired to a smart device via an internal Bluetooth receiver. 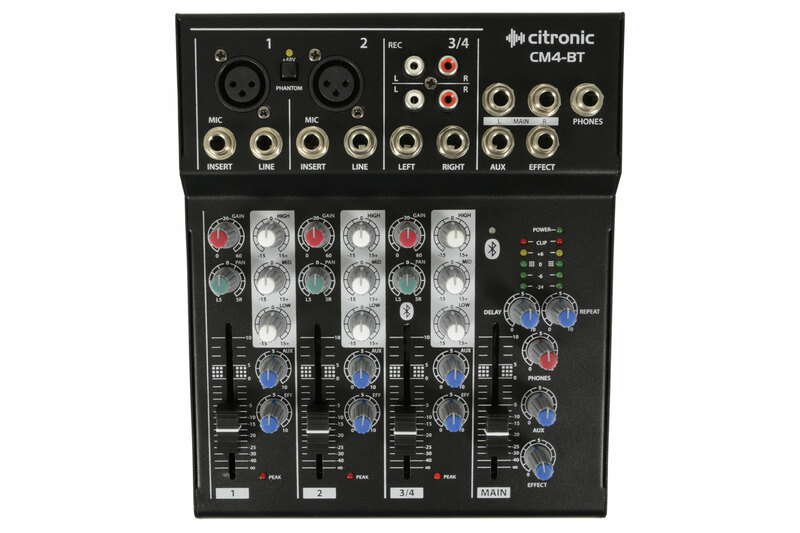 Mic/line channels have individual inserts and all channels have 3-band EQ, Aux and Effect controls. Phantom power of +48V is switchable to the XLR inputs for condenser microphones. 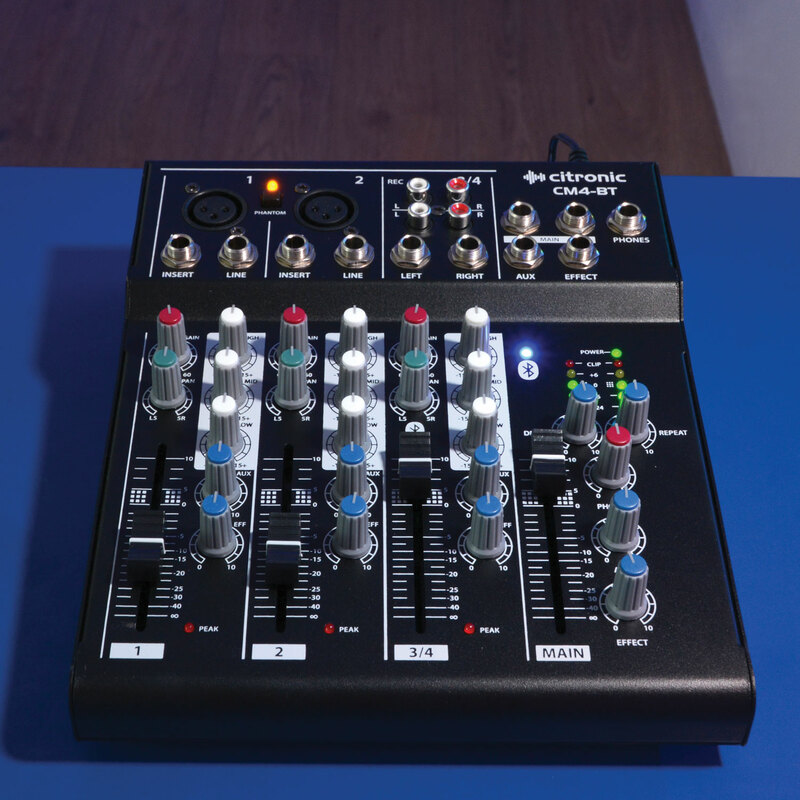 Applications range from sub-mixing to main live PA console.Mixing to main live PA console. SNR : mic inputs120dB E.I.N. SNR : line inputs95dB E.I.N.